KWXY boasts the largest radio station music library West of the Mississippi. With over 12,000 songs in a variety of analog and digital formats, it would take weeks and weeks to listen to them all, but we sure hope you'll try! We don't play all the songs all the time, but we do cycle in and out of rotation more than 100 new songs every week, so you'll never get tired of hearing the same songs over and over, or have to listen to Beyonce or Michael Bolton singing a Frank Sinatra song. Real Talk. Without All the Yelling. You told us you like listening to talk radio, but can't stand talk hosts that yell at you all day long on the old AM, like the Bloviating Blowhard and Shill Hannitty. So we've built an all-new talk station on our sister station. Tune to The New 99.1FM or 920AM KGX for authentic, compelling, interesting talk. We call it Real Talk. Talk radio without all the fake outrage. Talk radio that doesn't insult your intelligence. This isn't your crazy Uncle Al's idea of talk radio. Click the KGX logo to the left to visit The New 99.1FM or 920AM KGX website. 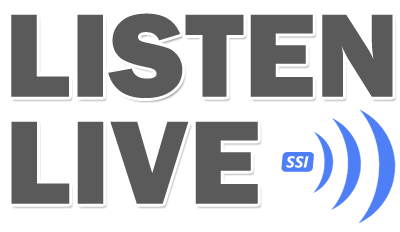 Live & Better talk radio for the Desert. KWXY began in the early '60's thanks to the persistence and hard work of our visionary founder, Glen Barnett. Glen built something unique to the desert; a radio station that was admired and imitated in cities around the nation. The Sound of Elegance was born in 1964, and while it's gone through several gyrations and permutations over the decades, we're working hard to re-create the original sound and feel of KWXY, remaining true to the promise of Relaxing Music. Special thanks to Roz & Ric Supple for realizing the value of the KWXY call letters and website url, and preserving them, even when others thought they should abandon them. Now, this is real music... authentic music that you know and love. If you're more of a square than a mod, we think you'll enjoy the fresh, relaxing sound of 92.3 FM - KWXY. Tell Us, and We'll Tell Everyone. If your non-profit group or organization has an upcoming event, we want to know about it. Tell us all about it, and we'll promote it for free on 92.3 FM KWXY. Gather all the information - what, when, where, etc. - and click here when you're ready to submit it to us. Please provide at least 14-days notice, and tell us only about events happening in the desert, that you're not spending money advertising. Find the KWXY Mobile app in the iTunes and Google Play stores. Simply search 'KWXY Radio' to locate it, or click the apropos logo above for the direct link to the app. Listen to KWXY and our sister station KGX, and see the Titles and Artists of each song as it's played. Vote Thumbs Up or Thumbs Down on each song, set a timer to sleep or wake, and get current weather and traffic in the app. Listen to KWXY through your Amazon Echo or Google Home devices. Simply wake your smart speaker, asking to "Play KWXY Radio on TuneIn", and you'll be enjoying the soothing, relaxing sounds of 92.3 FM in no time. If you have the iHeartRadio app on your device or phone, delete that app, and install TuneIn instead. And, just like our on-line and mobile app stream, it's HD stereo fidelity. If you're using the Echo Dot, plug the feed into your stereo amplifier or receiver and enjoy better-than-FM audio from KWXY. Jim Guy has been forecasting weather on TV and Radio for over 35-years. And now he's keeping an eye on the sky for us at our sister-station, Real Talk KGX. Jim's hourly forecasts can be heard weekdays on 92.3 FM KWXY. Jim's the real deal; an actual AMS Meteorologist. He's been on-air in Seattle, Minneapolis, Fresno, Phoenix, etc. Now he's watching the weather exclusively for us from Broadcast Center for KGX and KWXY. Unlike today's "social media", Radio is regulated by the FCC. Advertisers know who they're reaching when they advertise on local Radio. There's no Russian bots or fake accounts with local Radio, like you may have been paying to reach with Facebook advertising. And KWXY and KGX have never had a Facebook page. We've always known they collect and aggregate your information (they try to sell it to us). Plus, we think Zuckerberg is a smug, arrogant, little twit. KWXY now with hourly local news updates, weekday mornings. KGX newsman Skip Essick has been at the helm of some noteable News-Talk radio stations including KMJ/Fresno, WOOD Radio/Grand Rapids, WHAS/Louisville and WJR/Detroit. Listen for Skip's hourly news updates from Broadcast Center at 10-minutes before the hour, as part of the all-new Breakfast Show on 92.3 FM KWXY. KWXY is building an all-new morning show, from the ground up, with a lot of your favorite music, and just a little bit of talk. Grab a cup of coffee and join us. Garry Wing gets your morning started with today's weather from AMS meteorologist Jim Guy, local news from KGX's Skip Essick and what to do and see in the valley, with Joey English's Daily Datebook. And of course, he'll have a lot of the music that made KWXY famous. Join Garry weekday mornings from Broadcast Center, 6-10am on KWXY. Click the image above to watch KMIR's report on KWXY on their Our Desert Past news segment! Michel Rubini stopped by The Breakfast Show on KWXY. Michel played keyboards with The Wrecking Crew on hundreds of hit records, was long-time musical director for Sonny & Cher, Nancy Wilson and Johnny Mathis, and scored many movie soundtracks. Michel's written a new book, Life in the Key of Rubini, now available at Amazon and on his website. If you missed the interview on KWXY you can listen to it in our Mobile App (under "KWXY On Demand"), or click here to listen now. Do you know more than your kids do? More importantly, do you know what it’s like to be a student today? It’s not like it was when we were kids. Join Palm Springs Unified School District’s Coordinator of Communications Joan Boiko to learn more about what’s happening in and around our school campuses with guests from the District as well as community partners. You Learn Something New Every Day Sundays at 9 a.m on 92.3 FM KWXY. Miss a show, or want to hear it again? Find the most recent show in the KWXY On Demand section of our on-line and mobile apps. Our new KWXY mobile unit is here! Look for the KWXY SUV around town. And if you ever need a jump start or roadside assistance, flag us down! Listen throughout the day for 92-minutes of continuous, commercial-free, music on 92.3 FM KWXY. When you hear long, 92-minute music sweeps, several times, every day, you know you're listening to 92.3 FM KWXY. KWXY is the station in the desert to hear Big Band & Swing music --- every hour, and now every Saturday night. Join us for Jukebox Saturday Night for the best Big Band & Swing music every Saturday, from 7pm - 12midnight on KWXY. One of the great Jazz voices of all time passed away in December. Nancy Wilson was a force of nature for six decades. KWXY was fortunate to have her former Musical Director Michel Rubini visit us at Broadcast Center and share stories of their tour through Asia, their week at New York's Apollo Theatre and more. We've edited the interview and the music of Nancy Wilson, and posted the MP3 below. Enjoy, as we salute this incredible talent. Wrecking Crew drummer and Palm Desert resident Hal Blaine passed away this week, and the KWXY Breakfast Show paid tribute by playing only songs Hal drummed on all morning long. You can hear that broadcast again, below; and thanks Hal, for being a big part of the soundtrack of our lives! Now you can see what song we're playing in real time while you listen to our on-air stream (click Listen Live at top of page). As an added bonus, if you're listening to our stream you can send us a "Thumbs-up" or "Thumbs-down" on the songs you like or don't like. More ways to enjoy Relaxing Music - 92.3 FM KWXY.